As part of a project meant to estimate threatened primate populations, a team of researchers examined a thriving bushmeat market in West Africa -- and uncovered some disturbing evidence. The market, Daobly market in the Ivory Coast, sells an estimated 9,464 primates every year, many of them threatened species. The team, consisting of two researchers from the University of Oregon and Ohio State University, conducted surveys at the market in 2009 and 2010, recording the date, species, and preservation state (smoked or fresh) of all primate carcasses brought into the market via dugout canoe from a nearby river. The primates for sale at the Daobly market come mainly from the Konobo District of eastern Liberia, a high-priority conservation area containing several endangered species. Among the animals killed for bushmeat were antelope, several species of monkeys and even two chimpanzees. 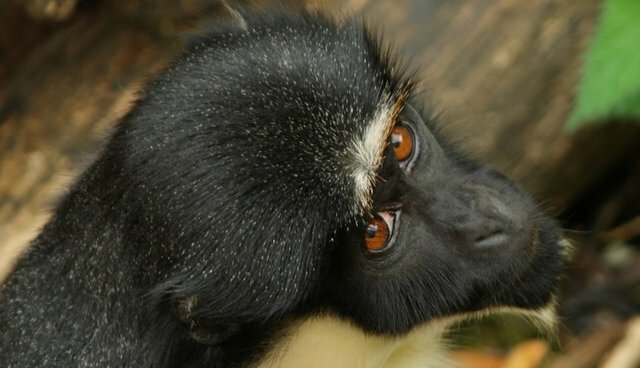 The study, published in the journal Tropical Conservation Science, compared the estimated number of animals killed for bushmeat with the estimated population in the forest, and found that the level of hunting to supply meat for the market was unsustainable, and that it was putting too much pressure on the primate populations. Even worse, the researchers say that their estimates are likely very conservative, because there are other markets where the meat is sold the weren't factored in, as well as some vendors who refused to let them count their animals for sale. According to the study, demand for bushmeat comes from the Ivory Coast, though much of the meat is sourced from Liberia. Though this study doesn't touch upon it, others have pinpointed western demand for bushmeat in Africa. One study that examined bushmeat seizures at Paris' Charles de Gaulle found a staggering and lucrative trade, fueled mainly by European demand for delicacies. Are you concerned with ending wildlife, poaching and the ivory trade? Read the contributors below, and add your own thoughts by using the hashtags #endpoaching #banivory #endwildlifetrafficking on Twitter or Instagram.